Like any computer, the iPad requires a little bit of maintenance to keep it running smoothly and efficiently. This includes clearing the iPad's memory, cleaning the screen, optimizing your battery life as well as keeping it protected and bug-free. Unlike a computer, the iPad makes most of these tasks pretty simple to undertake. The best way to tell an iPad gets a lot of use is to look at all of the fingerprints covering the screen. In normal light indoors, these fingerprints can find ways to hide, but you put them under the right light such as sunlight, and the fingerprints create quite a glare. As for the not-quite-so-frequently-used iPad, it may not collect as many fingerprints, but it can collect dust. You will want to avoid window cleaner and any other cleaning solution, especially those that contain ammonia. Instead, use a lint-free scratch resistant cloth such as the ones used to clean eyeglasses. Slightly moisten the cloth with water and clean the iPad's screen by running the cloth even strokes either vertically or horizontally across the screen, whichever you prefer. And don't forget the rest of the iPad! It may not be covered with fingerprints, but you might as well give the entire iPad a good cleaning. It's okay to use a regularly dampened cloth on the back and sides, but you should still avoid any cleaning solutions. The best way to clean the inside of the iPad is to reboot it. Powering down the iPad and then turning it back on will clear out the memory and give the iPad a fresh start. 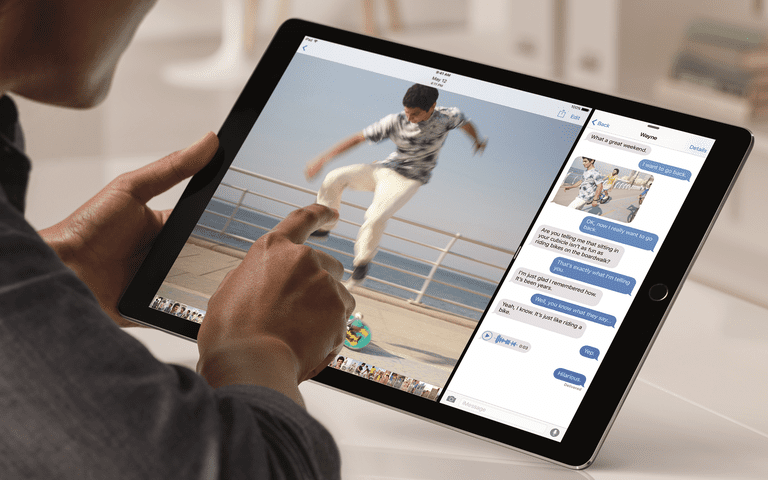 It's a good idea to reboot the iPad any time it seems to be running slow or when you have odd problems pop up with it, such as an app refusing to update to the latest version from the App Store. Rebooting can solve a lot of problems. Many people confuse the putting the iPad in suspend mode with rebooting it. In order to power it down completely, you will need to hold down the Suspend button until the iPad prompts you to "slide to power down". After you follow the directions on the screen, the iPad will run through a shutdown process. Once the screen has gone dark for several seconds, you can power it back on by holding down the same Suspend button. You can release the button when you see the Apple logo appear. Keeping iOS updated will make sure you have the latest security updates as well as fixing various bugs found in the operating system, which can help your iPad run smoother. Accidents happen no matter how safe you try to be with your tablet, and because of its thin design, a simple drop could lead to a cracked screen as well as a sizable dent out of your iPad. The best way to protect against this is to buy a case as soon as possible. The best cases are form-fitting and provide adequate protection, so avoid Apple's Smart Cover, which doesn't provide any real protection, though you could opt for the Smart Case if you want the "smart" features. There are also plenty of heavy-duty third-party cases that will provide protection for iPads that are mostly going to be used in the home and even some that are designed to protect the iPad while on outdoor adventures. One type of case to avoid is loose-fitting cases such as leather binder cases. The iPad should fit snugly in any case you purchase otherwise you are not getting the full protection of a case. If you have small kids or toddlers in the house, you may also want a screen protector. This can make sure that even the dirtiest little hands won't be doing too much harm to your iPad. There are a number of ways you can optimize your iPad to get the most out of your battery, including turning off 4G when you are not using it and turning down the brightness on your display. You can also tell the iPad to fetch your mail on a longer interval to help reduce draining the power throughout the day by repeatedly pinging your mail server and downloading new items. Apple also recommends draining your battery once a month and then charging it back to full power, but this is a recommendation based on making sure the iPad accurately displays the amount of battery power left rather than anything that will actually help prolong the life of your battery. In fact, batteries of this type are usually better if you begin charging with at least 5% power left as draining it to empty isn't a great idea. So if you do decide to take this advice -- and it is not a big requirement for the good health of your iPad -- don't drain it all the way down. You can set up iCloud to perform regular backups of your iPad in the iPad's Settings under iCloud. These backups are done while you are charging, so they won't get in y our way. They can also be a great way to make sure you can restore your iPad if you run into any problems. These backups can also be used when setting up a new iPad to make sure it has the same apps installed, the same email accounts set up, the same contacts listed and the same settings tweaked as your previous iPad. You can also sync your iPad to iTunes to make sure you have a valid backup on your PC. However, with the ability to automatically perform backups at a regular interval and with no need to be plugged into the same PC to restore backups, using the iCloud method is the most efficient. Another great way to save space is to skip loading a bunch of music and movies on it and setup iTunes home sharing instead. Home sharing allows you to 'share' the music and movies stored on your PC with your iPad. This is done by streaming across your home wireless network, and because they aren't ever stored on your iPad, you can save a lot of space using this trick. And nothing prevents you from occasionally installing a few songs or a movie on your iPad, which can be great if you are going out of town for a little bit.